Alliance Men believe that the local church is the most appropriate forum for building and investing in men of God. Therefore, one of our main objectives is to have a Local Alliance Men Chapter within each church in our district. 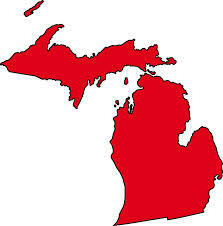 The Great Lakes District consists of the lower peninsula of Michigan and the Northwest Portion of Ohio. There are currently 42 Christian and Missionary Alliance Churches in this District. To learn more about what a local chapter is or how to start a local chapter in your church click the contact us tab at the top of this page.